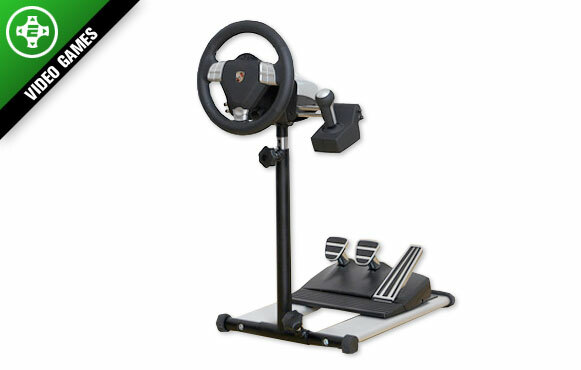 If you're going to buy that special someone "Forza Motorsport 3," there's no better way to play it than with a wheel controller and the RennSport Wheel Stand. Not only do you feel the feedback in the wheel when you crash or bump an opponent out of the way, but with the wheel stand, now you don't have to worry about finding an awkward place to put that wheel as it's hard to simulate a race while balancing a peripheral on your lap. Seriously, if you're a big racing fan, go all-in this holiday and pick up the wheel and the stand to go with "Forza." You won't be disappointed. And if you let your kids play, who knows, it may just teach them how to drive.